Thanks to my missus’s dad, I got to borrow this big sucker to work the backyard over. She is a great unit to drive. I used it to dig huge French drains in the backyard (Had some problems with drainage) and also drill the stumps for my new deck. The pinching bucket on the front was really helpful to pull out the old stumps. Simply grip and rip. The stumps that I was digging out by hand (and taking hours) came out in seconds! 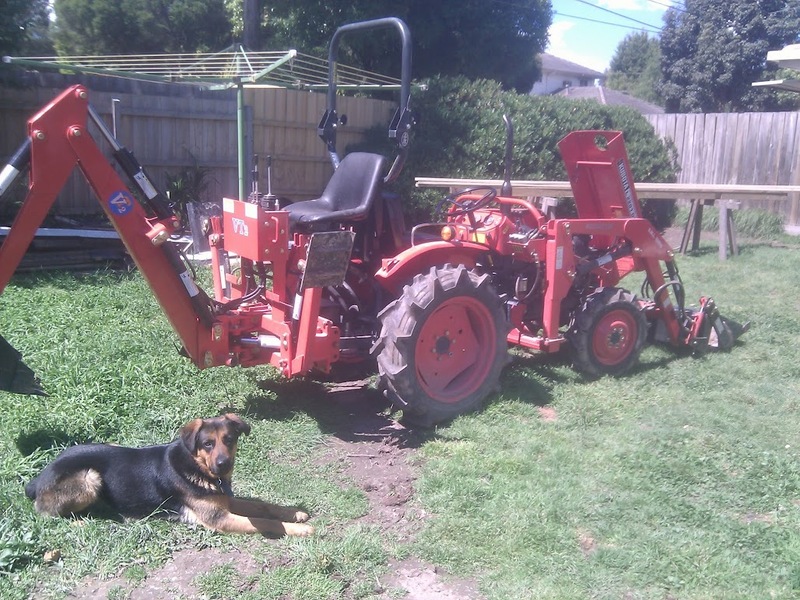 Posted in Uncategorized | Comments Off on Tractor! You are currently browsing the Kyel Smith blog archives for October, 2011.